If you're a fan of the Harry Potter books and/or films (both, in my case!) then you've probably heard of the associated studio tour near London. I got some tickets for Christmas last year and this week the big day finally arrived 😊. Today's blog post contains a few of my favourite photos alongside some trivia about the films. One of the first things you see, while queueing for the great hall, is the cupboard under the stairs—Harry's room for the first eleven years of his life. It's tiny. And the props inside it are convincing in their general unpleasantness. 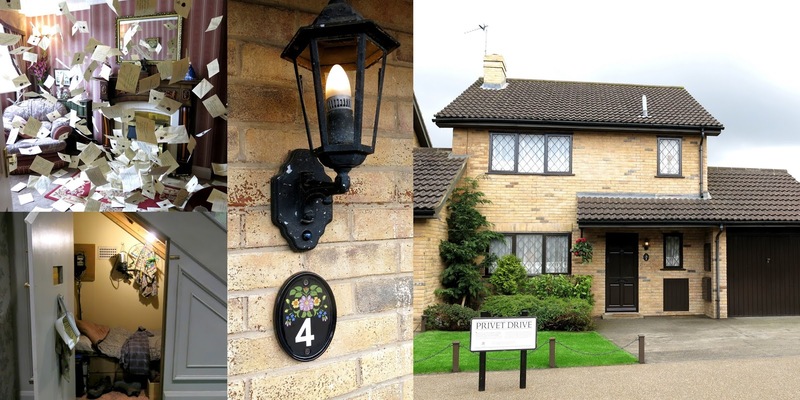 The contrast between Privet Drive and Hogwarts is shocking. Exchanging a suburban cupboard for a Scottish castle would be incredible enough, but of course that same castle is full of magic too! The great hall was set up with the Goblet of Fire when we visited, complete with Fred's and George's failed attempts to add their names to it by way of an ageing spell 👴. That Gryffindor costume in the bottom left photo was actually worn by Daniel Radcliffe when he was eleven years old. It was just as small as it looks! Walking past the long tables and imagining the scenes they'd been used for was pretty amazing. The interior sets beyond the great hall were equally fascinating. 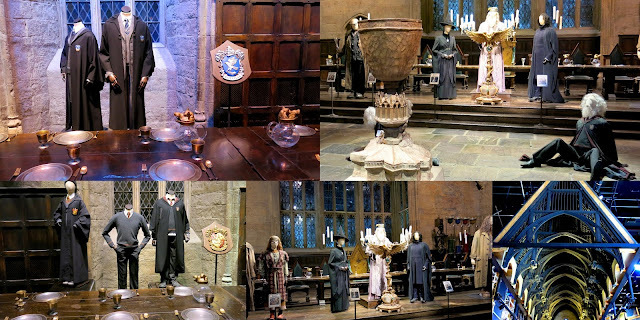 It was hard not to feel a little sentimental when seeing the dormitory and common room where the main characters spent so much time living, studying, planning, and laughing. 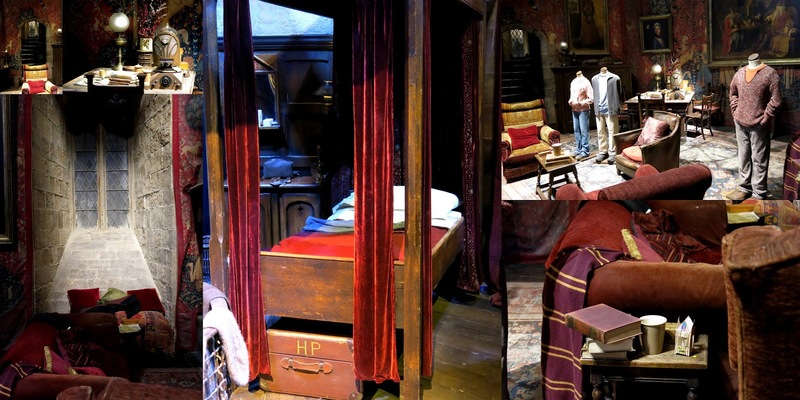 The beds were originally made for the first film, which meant that by the later films they were way too small. Shots had to be carefully staged so as not to draw attention to it! There was so much detail in the professors' rooms. The books in Dumbledore's office were actually British phone books (remember when phone books were a thing?) given distressed-looking covers so they would resemble old magical textbooks. More than eight hundred vials were hand-made for the memory cabinet. And apparently, Professor Umbridge's costumes became progressively pinker the more power she gained. It was all there: the good, the bad, and the ugly. 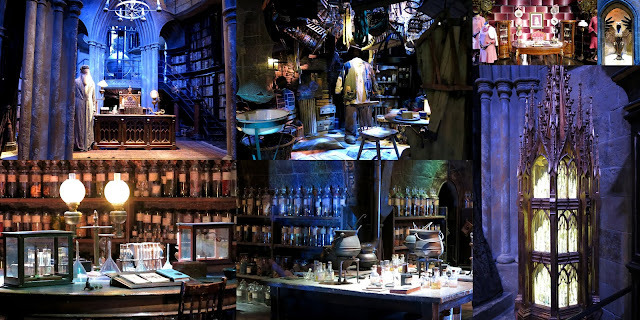 The good included the Weasleys' home (deliberately made with no right angles! ), Quidditch, and Diagon Alley. I'd count Umbridge's interminable notices among the bad, along with the Chamber of Secrets, and Malfoy Manor. Finally, for ugly, I'd choose the Black family tapestry, (don't get me wrong, it was beautifully made, the "ugly" is what it represents), the Riddle family gravestone, and Ron's Yule Ball costume (sorry, Ron!). It wouldn't be Harry Potter without all of the magical creatures who appeared in the films alongside the human characters. On the tour we got to see how each of them was created, from concept art to final animatronic creations. Isn't the painting of Fawkes beautiful? Of course, there were also a lot of real animals in the films. These included four snowy owls to play Hedwig, four Red Persian cats for Crookshanks (made to look messy with clipped on matted hair! ), nine Neapolitan Mastiffs for Fang (how many?! ), and more than a dozen rats for the part of Scabbers. I'll finish with a quick trip to platform nine and three quarters, the Hogwarts bridge, (just to prove I was there 😊), and the model of the castle itself. It's on a scale of 1:24, which is bigger than I expected, and was all hand-made for the first film, by no less than eighty-six artists and crewmembers. As for the train, I found out that the iconic Hogwarts Express was in the first shot ever captured for the films and also the last. From 1937 to 1963, it was also a real train, taking passengers up and down Britain until its retirement. I guess if you're going to come out of retirement you might as well do it in style! 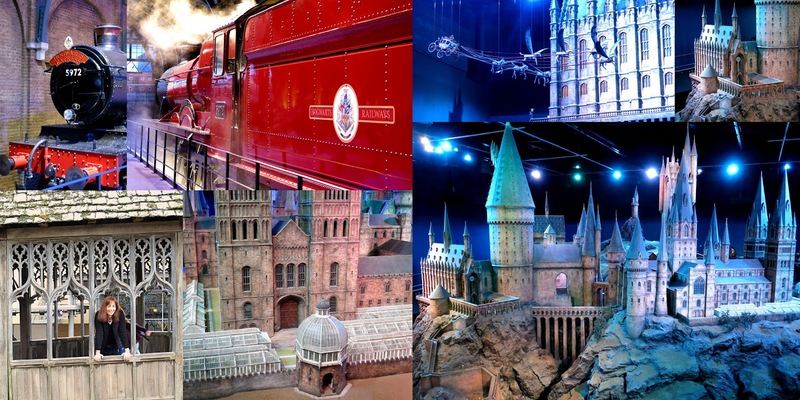 I would highly recommend the tour to anyone who wants to know more about how the Harry Potter films were made. There was so much more than I could cover in one blog post and I know I didn't have time to see everything on the day. One of the Warner Brothers team told us the record time spent in one single visit is fourteen hours! 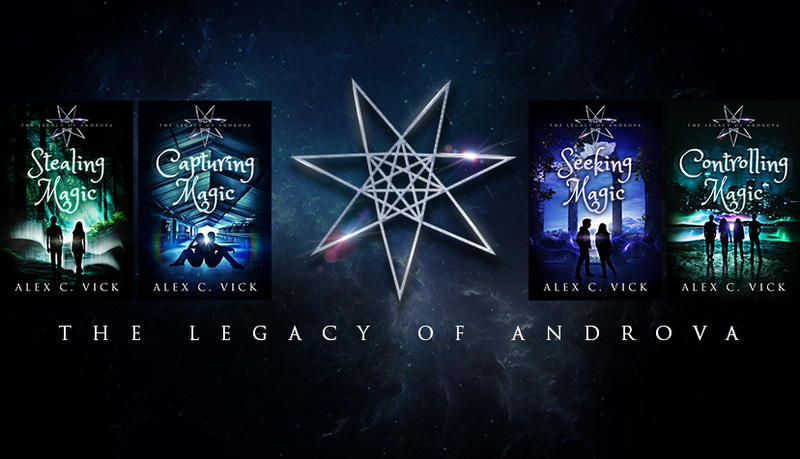 Next week, I'm hoping to reveal the cover for Connecting Magic. Only a month to go until it's released! 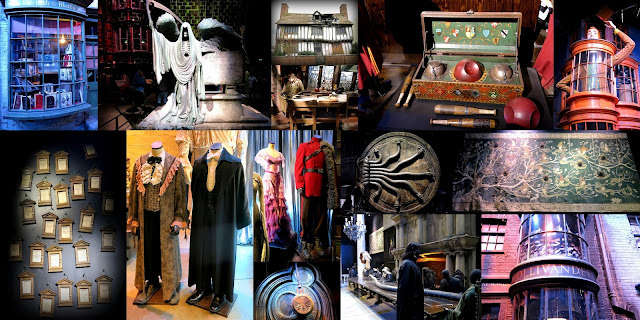 Thank you very much for visiting my blog today and, if you like Harry Potter, I hope you enjoyed the photos.